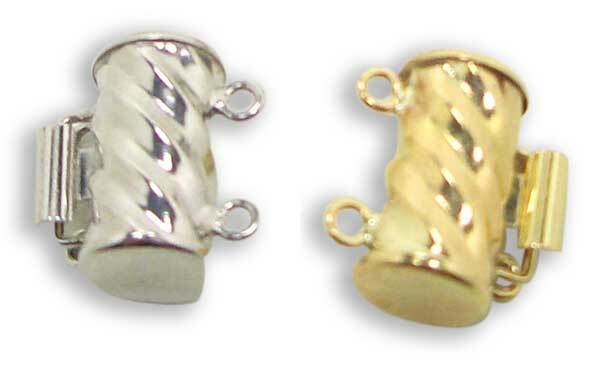 Decorate any two-row necklaces or bracelets with this elegant vintage clasp. 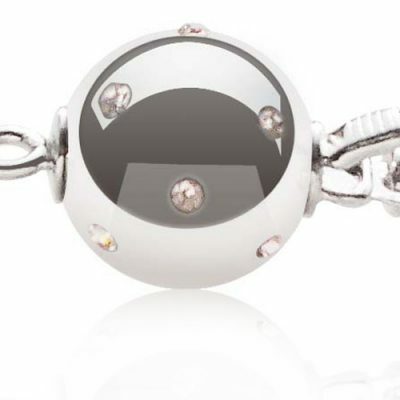 This clasp is made out of 925 sterling silver and has an 18K white gold overlay to avoid tarnishing and protect sensitive skin. 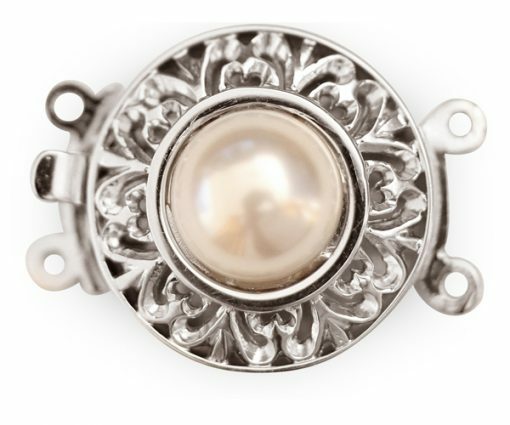 The clasp is approximately 5/6 inch (width) x 1 inch (length) and weighs about 5.3 grams. The beautiful glass pearl in the center is 10mm in size with a smooth surface and high luster. 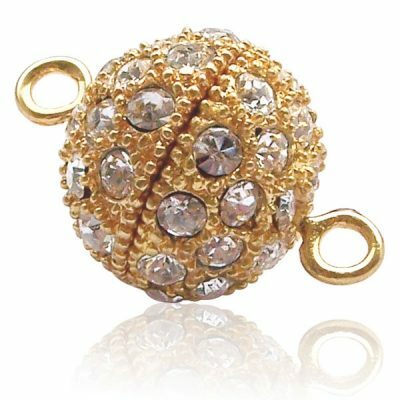 It adds the perfect touch to any necklace or bracelet.